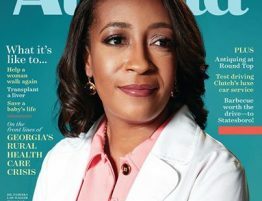 Every Year, Atlanta Magazine publishes a list of “Top Doctors” in Atlanta and its surrounding suburbs. Peachtree Vascular Specialists is proud to announce that Dr. Dan McDevitt has once again been chosen for this honor in the Vascular Specialty. The list is compiled by Castle Connolly Medical Ltd., an organization established to help consumers find quality physicians and medical facilities. Candidates are nominated by their peers, deemed to be the best quality physicians and leaders in their specialties. After thorough research and screenings based on professional and leadership experience, winners are identified¹. Daniel T. McDevitt, MD, is a board-certified surgeon and vascular surgeon. He earned his medical degree at University of Cincinnati College of Medicine, OH, and completed a general surgery residency at Allegheny Hospital, Pittsburgh, PA. He then completed a vascular surgery fellowship at Good Samaritan Hospital, Cincinnati, OH. He is currently President of Peachtree Vascular Specialists, and involved in many organizations including Board Member of Southern Regional Medical Center in Riverdale, GA. The staff of Peachtree Vascular is very proud of Dr. McDevitt and this accomplishments. In addition to being an outstanding surgeon, he is an approachable and open-minded leader, and we all believe that his award is well deserved! Meet Teresa Hollowell, the newest addition to the Vascular team!